Do you want to a make a difference and enable South Australians living with disabilities to reach their full potential? 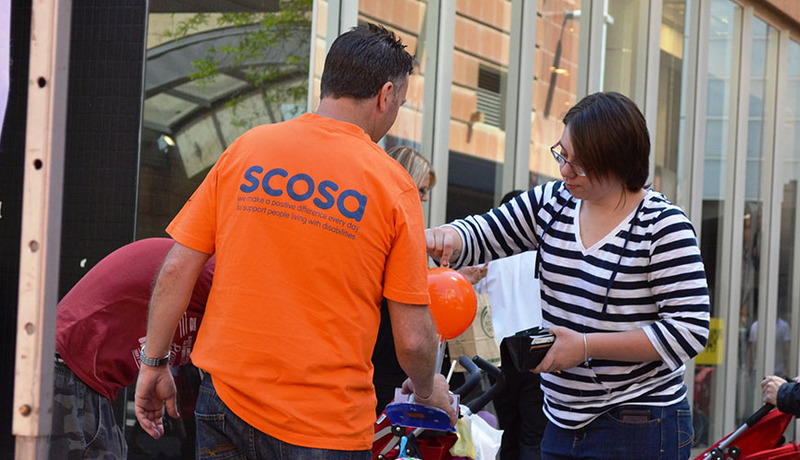 Our aim is to provide all people who participate at scosa the same kind of opportunities that most of us take for granted – whether it be having the opportunity to learn how to paint, discovering how to cook a delicious stir-fry after first visiting the Adelaide Central Market to purchase ingredients, or the option to go to the gym with our friends to keep fit and healthy. Your donation can make such a difference!